Morning all! 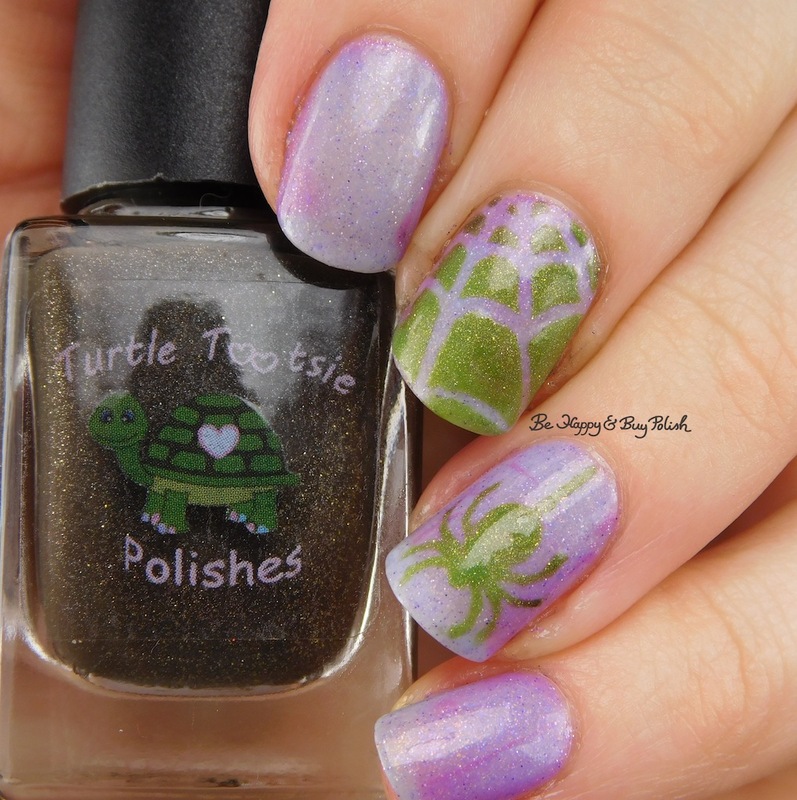 This morning I have a fun thermal manicure to show you with Polish ‘M Trans-Allegheny and Turtle Tootsie Polishes Frankenstein’s Mask. Trans-Allegheny is a light purple that shifts to a blurple to a deeper purple, with iridescent micro flakes. (Psst, it’s sold out as an individual, but you can still buy the 4-piece Halloween collection from Polish ‘M!) It looks like it dries textured but it doesn’t. It has a smooth application. This is 2 coats plus top coat. 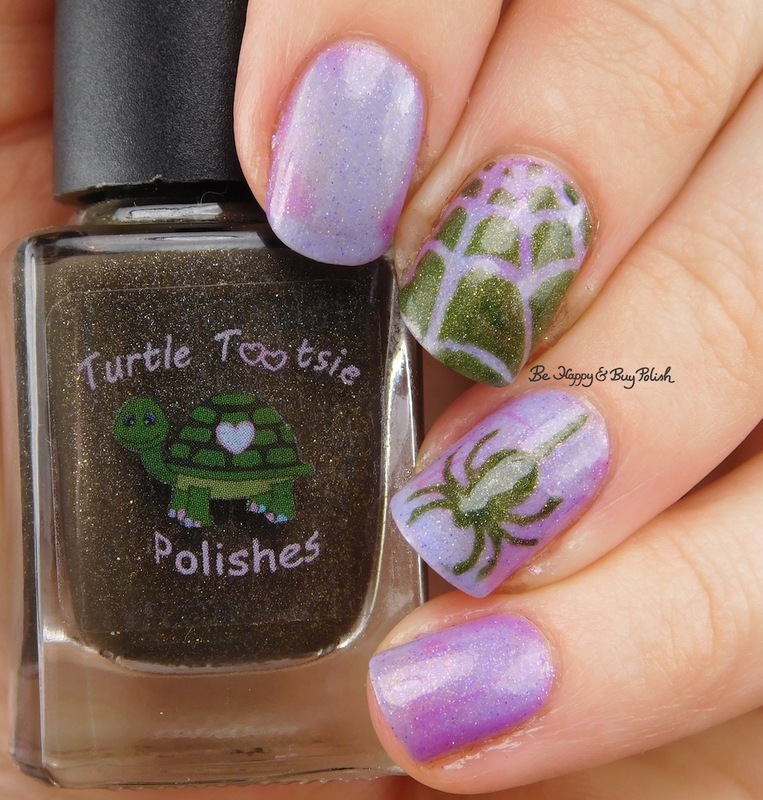 So I decided to go with a spider and its web for this simple but fun manicure, using You Polish nail stencils. And the manicure in cold state. I gotta say, I freaking loved this mani so much and my whole family continues to be entertained by thermal polishes! What’s not to love? Really neat design with the thermal polish. You are making me wish I had picked up the Polish ‘M thermals! Sooo pretty!